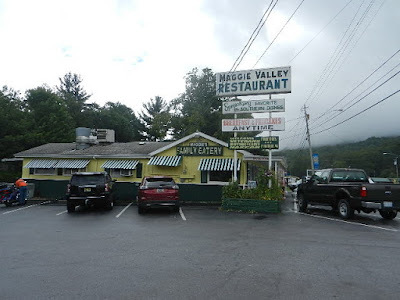 Maggie Valley Restaurant…while their claim to fame might be the length of time they have been family owned, if you can’t get the pancakes to me hot I don’t care about the rave reviews! We were there for a late (mid-morning) breakfast and the place was only half-full. First off, it was freezing cold inside. I wonder if that’s why my pancakes were served cold? I am not a breakfast person, except pancakes, and I was really looking forward to them…oh well, life goes on! 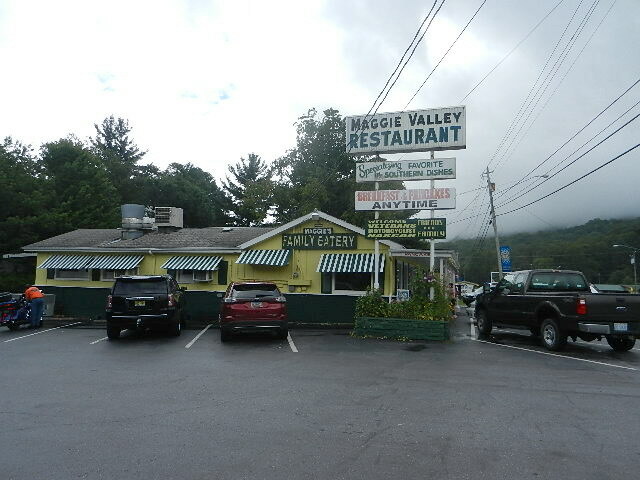 Joey’s Pancake House is a place we didn’t get a chance to try in Maggie Valley. We rode by it several times on different days and it was always jam-packed with a long waiting line out the door. My husband has no patience waiting for food, so we never ate there. They are only open in the mornings and they are closed on Thursday. If you have patience, then take the plunge and visit Joey’s Pancake House. All those people in line can’t be wrong. Check it out here. We ate at Legends Sports Grill. Our normal lunch is a sandwich so I sought out a restaurant that is into sandwiches and Legends seems to be about the only place to get a normal sandwich. We got there right after they opened and there was only one other customer but they did have a decent ‘to-go’ business. It’s a sports themed place with something like 24 TV’s and all kinds of sports stuff on the walls, etc. Check out the menu here. I ordered the cold roast beef with lettuce and tomato (hold the mayo) on sourdough bread. It comes with cole slaw which I turned over to my husband. I must say the roast beef was very good and piled high. My husband had a hot roast beef sandwich (deluxe) which had bacon, cheese, lettuce and tomato and a side of slaw. The sandwiches were made fresh and all things considered I would eat lunch there if ever in the area again. If you are planning on riding your motorcycle there are several decent looking motels (some with little cabins) along the main drag. They advertise as ‘motorcycle friendly’. The entire area seems to be motorcycle friendly. 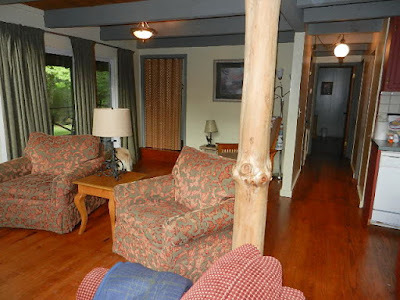 If you prefer something a title more private just search on VRBO.com or HomeAway.com for rentals in Maggie Valley and will you find more choices than you can believe. Some down on ground level and others up in the hills that probably require 4-wheel drive in winter. I can imagine the views from high above looking down on the valley are amazing, but I like staying where I don’t get a nose bleed. You can find cabins on creeks or out in fields, close to the action or far from it. The little place we rented was a one minute ride off the main drag so getting to restaurants and attractions was easy. It was an OK place but we had issues as soon as we checked in and the place had not been cleaned. 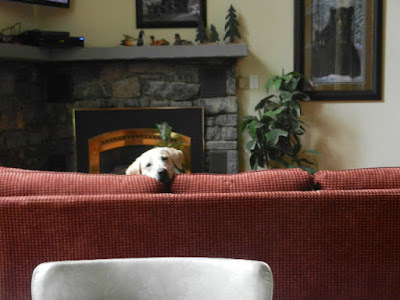 That meant a long wait for us (and the dog) while the owner found a cleaning person and we had to stay out of the way. It got worse from there, but that’s another story. Oh, and since my husband had no luck fishing in the creek at the rental – and he really want fresh trout – there are several trout ponds where you pay for your fish. At $4.50 a pound plus .50 to gut them, that’s a lot cheaper than buying trout at the fish market there and a lot more fun. There are several gift shops that charge too much, but that’s usually the case with those stores. If you truly need to take great Aunt Sue a coffee mug that says “Maggie Valley” be prepared to spend about fifteen bucks for one. Anyway, it’s a neat place and something to visit at least once. The view of the mountains are outstanding and, as always, the best part of vacation is going back home. Highway 64 - just beyond the TN/NC border - heading home. Next trip, next year probably, will be Murphy, NC unless all the ‘good’ restaurants close before then.